What really grabs a Nat Geo editor's attention? Our Travel Writing Scholarship Judge, Norie Quintos shares her experience at Nat Geo Travel and her tips on how to get noticed. What came first, your love for travel or your love for writing? My first trip was a transatlantic flight from New York to Manila when I was six months old on the iconic Pan Am. By the age of two-and-a-half, I’d made that trip three times. It was the start of a love affair with cultures, languages, and travel. The writing came a little later, in first grade. How did you get started in the travel writing industry? In college, I was an African Studies major and was editor of the yearbook. My original grand plan was to work as a diplomat in the State Department or the United Nations. My first job was as a newsletter editor of a trade publication in Washington, D.C., focused on development and aid. After that, I covered travel as a reporter and editor at the weekly newsmagazine U.S. News and World Report, which led to an editor job at National Geographic Traveler magazine. You’re currently a Travel Content Consultant and Editor-at-Large at Nat Geo Travel Media. What’s the best part about your job? I have had a front-row seat to the cataclysmic changes wrought by digital technology. It’s been quite the roller coaster and I’m lucky to have been able to adapt and reinvent myself for a new journalistic landscape. The old curated gateways of content have given way to everyone doing content, but the differentiator remains quality and editorial rigor. I bring that experience and expertise to my role as a travel communicator, working with clients to help surface stories, and tell stories better. And my role as an editor-at-large means I still get to contribute stories and ideas to a trusted and iconic brand I have been associated with for a many years. Find out more about our Travel Writing Scholarship opportunities! Was there an assignment in your career that was particularly memorable? Either the assignment/story itself, or a trip that taught you something about the craft? I was on assignment to write the cover story for Nat Geo Traveler about Banff, Alberta. My reporting time was short and I had a long list of things to do and see, and people to talk to. When I got down to writing, I kept thinking how great it would have been to see the bear. I kept struggling with the piece until it dawned on me that not finding was the central metaphor for the story. It actually made for a better story. The lesson: In life and in writing, don’t try to force it; let the story unfold. How has travel writing enabled you to connect with locals and their cultures on your travels? It gives me a reason to enter worlds and cultures different from mine and to ask a lot of probing questions. And writing is really an exercise in clarifying the thinking process, so it also forces me to dig deeper and think – not just accept the standard explanations for why things are. At the superficial end, I’ve been able to try a lot of different foods (most of them tasty, by the way) and at the other end I’ve made some lifelong friends in the remotest corners of the world. What types of stories interest you the most? When it comes to stories I read, I’m a generalist; I read all sorts of stories, the travel category is just one of them, and it’s not even the biggest. I love memoirs and historical nonfiction. Two of my favorite reads are Eric Larson’s In the Garden of Beasts, and Candice Millard’s Destiny of the Republic, both true tales that read like fiction. As for what I like to write, I’m fascinated by stories of journeys of transformation, where metamorphosis is the subtext of a travel yarn. What trends do you see developing in travel writing? The trends have to do with how content is being distributed and how busy people are digesting it. Shorter, fast-paced, and voiced with attitude. If that’s not the way you write, please don’t force it. I also see a counter trend of solidly-reported, authoritatively voiced long-form reads. How can an aspiring travel writers take advantage of these trends? I say forget the trends—except the one that says every writer needs to be their own marketer—and follow your passions. However, to make a living, it may be necessary to write for a variety of outlets in a variety of voices. What’s your advice for travel writers who want to get noticed by publishers? Unfortunately, toiling in the attic and waiting to be discovered never worked for anyone. Writers have to market themselves, which often goes against the grain for certain creatives, so it takes special effort. An online presence is a must. Have a good website and a relevant social media feed. Attend travel conferences both for idea-generation and networking opportunities. Pitch liberally and write prolifically (but maintain quality). What are some common mistakes you see aspiring travel writers make? The biggest mistake I see inexperienced writers make is to organize their piece chronologically and linearly. It’s boring. Break it up. Surprise not just with words but with structure. Another common mistake: using too many adjectives. Don’t say the view is “beautiful.” Describe its beauty. You’re now a judge for our Travel Writing Scholarship. What separates good travel writing from great travel writing? What makes a story sing for you? I’ll be looking for great yarns that go beyond the place into the realm of the universal. In other words, tell me a story that's not just about you in one spot, but all of us, everywhere. Helen hones her writing skills as she travels through Albania and Montenegro as a winner of the 2017 Travel Writing Scholarship. 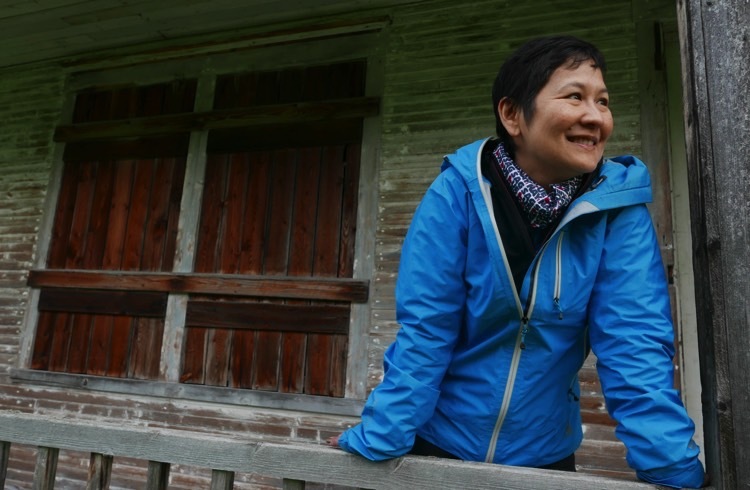 Norie Quintos, editor-at-large at Nat Geo Travel and one of our 2018 Travel Writing Scholarship judges gives us a glimpse at what she looks for when editing a piece. Rejection is never easy. Charukesi Ramadurai shares some tips from her sometimes painful, and always practical, experience. Thanks for a very practical & straighforward tips on how to develop one’s passion in travel writing. You make us proud !Norie! I am also from the Philippines and knowing that great writers go beyond their boundaries inspire me to write down my thoughts. I don’t have any professional writing background but I always wanted to share my travel experiences . I hope I can join the league of aspiring travel writers.